I'm designing a SharePoint-hosted add-in declarative workflow. 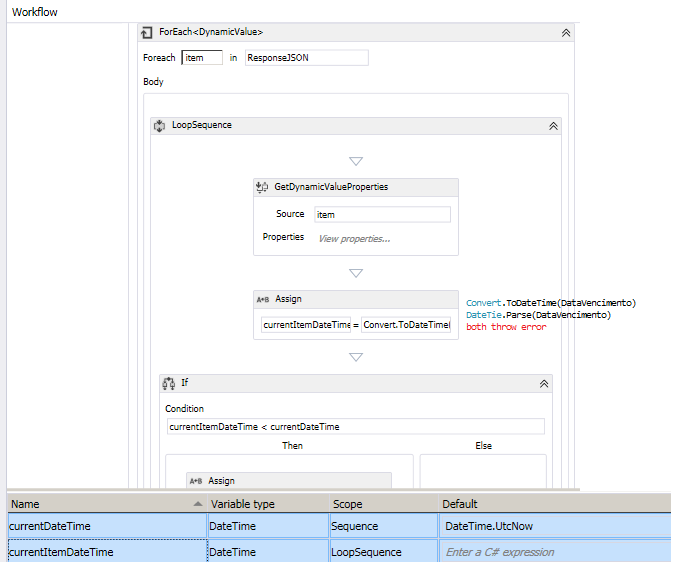 I'm calling a REST endpoint that returns me a DateTime value and I need to compare this date to current DateTime that I get using DateTime.UtcNow. How can I get this working to compare dates? I've found the error: there were a null value in one itemDate in the JSON response. So I simple did a String.IsNullOrEmpty(itemDate) and it worked. Browse other questions tagged sharepoint-online workflow sharepoint-addin visual-studio-2015 or ask your own question. how to call “CALL ACTION” inLoop in SPD workflow2013?